The prosecution mechanism is responsible for ensuring that all law is enforced. When laws are violated and crimes committed, the prosecution must ensure that due process is followed and justice obtained. This is particularly important when it is law enforcement and government officials–those meant to be protecting citizens?rights–who are breaking laws and committing violations. In order for the prosecution to enforce the law, it must be institutionally independent, particularly from political and judicial influence. In most countries of Asia however, prosecutors enjoy neither this independence, nor effective power to carry out the mandate of their office as stipulated under international legal principles. This inevitably has a detrimental effect on the rule of law and human rights within the region. 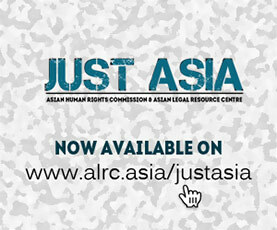 This is the third lesson in a four-part series on the rule of law and human rights implementation.